Wechat has exceeded the race and stands ahead among the top Chinese e-commerce marketing forums in a very short time. What was launched 5 years back as a private messaging application for Smartphone users, has not become an important business platform. China with its increasingly expanding market is attracting more and more new brands from all over the world. The brand named after its founder Christian Dior is known for its luxury, sophistication, and glamor. The short logo despite the company being a well-known luxury industry of the world helps its easy identification and recognisability. It was founded as a female brand which promised every woman beauty. It later on extended its products for men and kids as well. The brand’s distinction lies in its values which put emphasis on respect for the client and the perfectionism it targets regarding its products. Dior has been among the most powerful fashion and luxury brands. Through its unique logo, high-quality contour, extremely sophisticated fashion sense, discrete and elegant products and loyalty, Dior attracts fashion-conscious women from high social class. Dior with its classical way of communication with the followers, not only promotes its products but unlike many other brands, it also highlights the elegance and sophistication of the brand itself. The precise yet glamorous logo gives power to the brand by making it easy to recognize and access. With its fashion shows that highlight its elegant contour, the museum in Granville which promotes the evolution of the brand, organizing special events or releasing the film in the entertainment industry to create a fizzle regularly, over many years Dior has developed its figure of merit and exclusive perfection. However, the latest trick which took the brand to the sky was the jump into the stream of social media. Yes, Dior has been using Facebook, twitter, YouTube, Pinterest, Instagram and to top all now mobile messaging applications like wechat to market its products more cleverly. 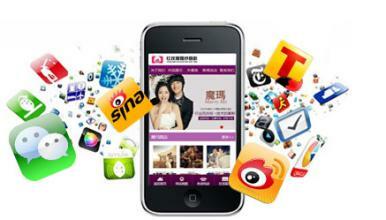 The best and the foremost step to enter into the Chinese market is none other than wechat. 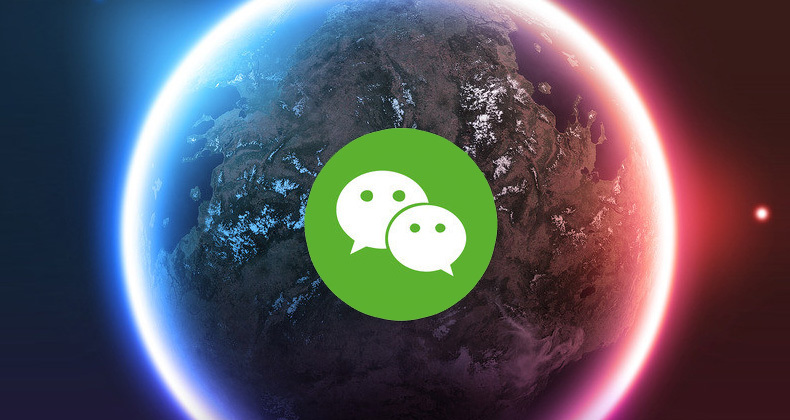 And it is really easy to jump in via wechat because it does not require you to register or to have a Chinese bank account or to have an export license. And for the well-known luxury brands, the Chinese market is a gem via wechat as it caters the need for brand loyalty by offering one to one communication with the costumers. Its fashion and luxury market has been used by great western brands including the famous fashion and luxury brands like the coach, Nike, and Burberry. The majority of the global luxury brands now have joined this business platform and the number is still increasing. A substantial shift is coming in the Chinese market which is transforming business platforms into more technology-based ones. The new generation that is coming consists of internet experts and high-tech savvy consumers who prefer convenient and efficient means of purchase. Here is an account of the top international luxury brands which are using wechat as a platform to market its products and have been successful by leaps and bounds. Burberry: Burberry has been very vigilant in making use of wechat services for its marketing. Be it the stories that highlight the brand’s extravaganza or the customer services that it provides on wechat, or the wechat campaigns by Burberry during the local festivals, Burberry has left no means to utilize this great platform. Coach: Coach uses wechat mainly for promotion of its products and loyalty programs for its customers. Chanel: Through its subscription account, Chanel has got an opportunity to provide its followers with more frequent information regarding its products, brand history, events, and company news. Tag Heuer: The brand created a new strategy of marketing when it launched a campaign on wechat to provide its followers with an interactive traveling exhibition. Hence it provided a chance to the Chinese customers, to look into the history of the leading Swiss watch brand. Zara, Sephora, H&M, LVHM, and Dior are also the leading international fashion and luxury brands to market their goods at wechat. Dior recently entered the Chinese famous and leading business platform when it marketed its items on wechat during the Qixi Festival Holiday. The customers were offered unique handbags and were also able to interact with the company’s representatives through wechat prior to placing their order and making a payment. Chinese superstars from entertainment industry were the promoters for this campaign. And the turnout for the brand was exceptional. All the models of the bag promoted on wechat were sold within the duration of a day. 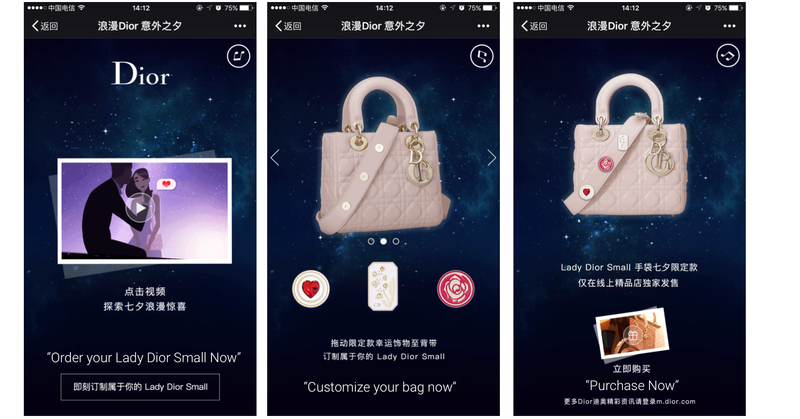 And hence Dior became the first luxury brand to sell its handbags on wechat.